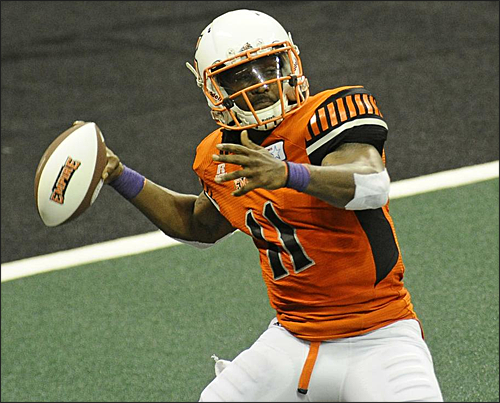 SPOKANE, WA - The Spokane Empire made multiple moves on Tuesday, including the release of starting QB Charles Dowdell. 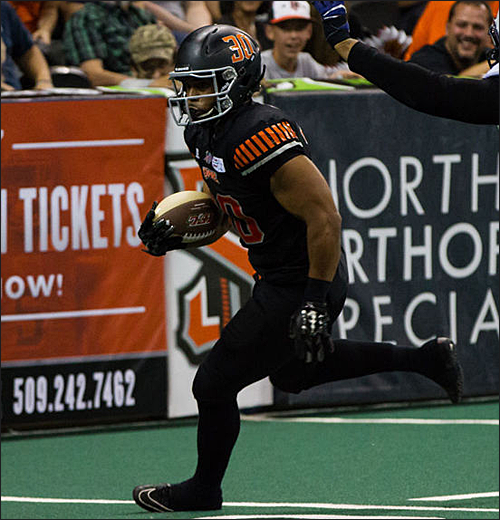 A key member of the Empire's Intense Conference Championship team in their first season in the Indoor Football League in 2016, Dowdell helped lead the Empire to a 12-4 record and the Intense Conference Championship. He completed 61.9% of his passes (263-of-425) for 2,735 yards, 63 touchdown passes and 21 interceptions. This season, despite ranking 4th in the IFL with 40 touchdown passes, his production took a dip. Although he's shown flashes of the individual that was named 2016 Second Team All-IFL, he completed only 56.7% of his passes for 1,750 yards and 16 interceptions, the second highest in the IFL. The release of Dowdell comes at a critical time for Spokane, who are in the middle of a 3-game losing streak. With a record of 7-5, the Empire have fallen into third place in the Intense Conference and a game out of a playoff spot. From the outside looking in, the move appears to be in response to a combination of his struggles this season and the disappointing 45-36 loss to the Colorado Crush last Thursday night, in which Dowdell completed 12-of-22 passes for 135 yards, 1 touchdown pass and 2 interceptions. He was pulled in the 4th Quarter in favor of Aaron Wilmer, who helped spark a comeback attempt. Despite only going 2-of-5 passing, Wilmer threw for 70 yards, including a 39 yard touchdown pass to Samuel Charles. Wilmer also had a 7 yard rushing touchdown to pull within 2 points. Dowdell had been the Empire's starting quarterback since the team's Indoor Football League debut in February 2016. With his release, it leaves Wilmer as the only active QB on the roster. The team will likely sign another QB as Wilmer should get his first start on Friday night. In addition to Dowdell's release, the Empire remained active on the transaction wire this week, signing RB Andrew Pierce and Kaelin Burnett to the active roster. An All-IFL selection with the Tri-Cities Fever in 2015, Pierce rushed for 415 yards and 21 touchdowns. He also caught 46 passes for 406 yards and 6 TDs. Burnett (6'4'', 250 lbs, Nevada) joins an Empire defensive line in an effort to bolster up its pass rush and strengthen its run defense. 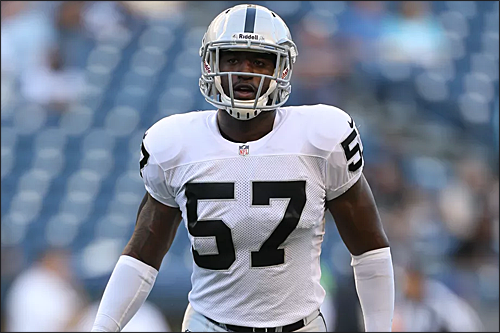 An undrafted free agent in the 2012 NFL Draft, he played from 2012-2014 with the Oakland Raiders, Arizona Cardinals, and Tennessee Titans. In total, he appeared in 21 games, registering 15 total tackles and a forced fumble. He also played one game with the CFL's Saskatchewan Roughriders in 2016. The team's transaction wire also listed that K Brian Jackson had also been released. The move was expected, as Jackson was added to the active roster last Wednesday as the team's emergency kicker, filling in for rookie Brendan Garcia. 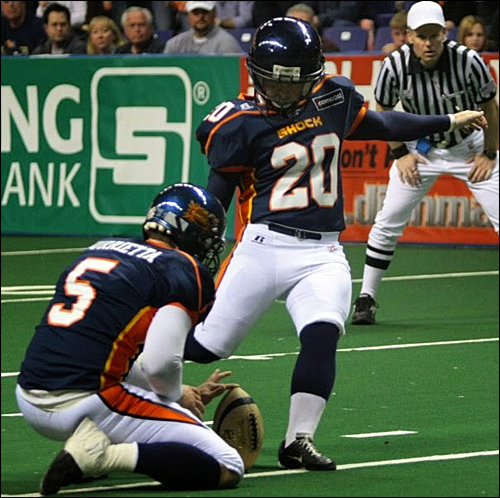 A member of the Spokane Shock from 2008-2009, Jackson went 1 of 3 on Field Goals with a long of 20 yards, and 3 of 4 on extra points. I can't say I'm that surprised Dowdell got cut. However, considering that Dowdell has played well in the past, I'm curious to see where he ends up. I'm also curious to see how Wilmer plays late in the season. It seems like odd timing to release Dowdell. In the least, he could have been a capable backup to Wilmer. I wonder if that sideline blow up he had after the 2nd pick in the Colorado game was the last straw. Shackleford was on the local news and he said that it was a tough "business decision" and that they were hoping things would improve but the interceptions kept rising and nothing was changing. If you read the Indoor Football Forum on Facebook, some of the people there think it's just the Offensive Line. But if you watch that 2nd pick, Dowdell had all the time in the world. He just made a very poor decision on where to pass. It's a sucky situation. Chuck's a good guy and was a pleasure to interview. But with the frequency of the interceptions, I couldn't help but wonder how long it'd take before they put Wilmer in. Now we know. I am shocked. He was not playing up to his level of last season, but to just release him seems harsh to me. I do not think this was an easy decision for Shack. I expect Dowdell to be picked up by another team really soon. 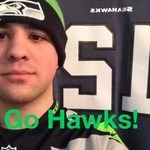 The only team I can think of that's dying for a QB right now probably is Green Bay since Matt Behrendt was put on Injured Reserve. Otherwise, I can't really see a job for him in the IFL. Maybe CIF? NAL would be another possibility.